Fair question. Ask 5 different trainers and you’ll get 5 different answers. In order to determine what home exercise equipment is essential to you, you need to figure out what your fitness goals are. Someone interested in lifting weights and adding muscle mass is probably going to need significantly different equipment than someone who is trying to improve yoga performance. A runner will have different needs than a Crossfit athlete. You get the idea. That said, there are a few pieces of equipment you can include in your gym that will serve many purposes and offer the most return on the investment. Space– how much floor space do you have to dedicate to you gym? This is a big one. Most of us working out at home don’t have a spacious, commercial grade gym. We are sharing our workout space with the rest of our family. Our gyms tend to be in garages, attics, basements…maybe the corner of a master bedroom? At my old house the “gym” was in our dining room, I guess that tells ya how many dinners we ate in there… Anyway, we have to make sure we can fit whatever equipment we have in our home gym and still have room to use it. 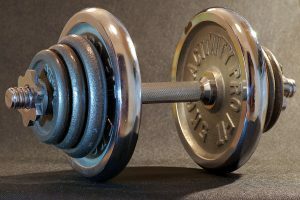 Budget– how much money do you have to spend on gym equipment? Another important question. Obviously, the equipment we own will be based on what we can afford. If money isn’t an issue, that’s awesome for you and I’m a little jealous, but most of us live in the real world. Luckily, most important gym equipment is pretty affordable. Plus, most of us gradually accumulate our equipment over time, building our gym over the years based on our fitness level and interests. It’s not necessary to buy all the equipment at once. Start with the most important stuff, build from there as the budget allows. Interests– what do you like to do at the gym? What are your fitness goals? I have never done pilates in my life, therefore I’m not going to spend a thousand bucks on a reformer for my gym. You need to concentrate on getting equipment you are likely to use on a regular basis. Remember, this fitness equipment will do no one any good if it sits in the corner of your attic collecting dust. If you spend the cash on it, make sure you use it! If you enjoy walking on a treadmill, then it makes sense to invest in a treadmill. Ok, goals. If you are trying to bulk up then you are going to need weights. Your space and budget will come in big here as well. If you are trying to stay lean, you may get away with less equipment and be able to use more bodyweight exercises and resistance bands. Health– what exercises can you do safely based on your current health status? If you have any health concerns, they should be taken into account when deciding on exercise equipment. For example, if I was dealing with arthritis in my knees or hips, I would think twice about getting a treadmill. You may get away with walking on some of the nicer treadmills, but you may do better with a stationary bike. If I was suffering from shoulder pain, I may not need a pull up bar. Just examples, but I think you know what I’m saying. Make sure you can safely use whatever equipment you are considering. When in doubt, you can always call your doctor (or email your friendly, neighborhood physical therapist). Kids/pets– is your exercise equipment going to be safe in your house? Just wanted to throw this out there because I have 2 small children and they find a way to get into everything. Even with me trying to keep them away from stuff they still find a way to get into it…mess it up…baby it all up with the never ending supply of whatever sticky substance is ALWAYS on their hands! Anyway, just consider it. It would be sad if your new equipment was ruined by a family member. Pets like to chew on stuff and do bad things in the wrong places sometimes. This is the stuff I think EVERY home gym should include. Regardless of your fitness level or goals, you are likely to need this stuff in your gym. Don’t worry, this stuff is pretty affordable. With these items, you officially have a “home gym” and can definitely get a quality workout. 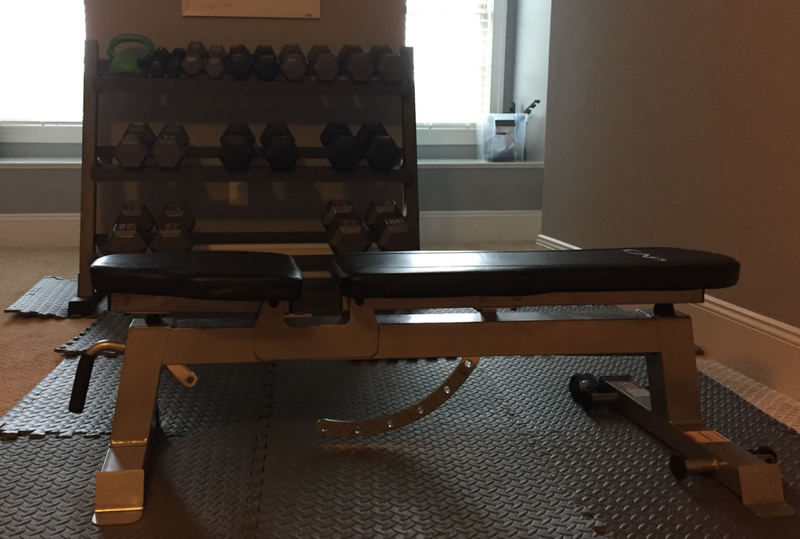 Bench– I recommend an adjustable incline bench to provide the added variation to your bench and flys, but a flat bench would do just fine. A bench gives you a surface to perform any exercise you need to do sitting or lying down. Gets ya off the floor. This is the bench I use. Gloves– if you are lifting weights, these are a good idea. Protect your hands from getting all dry and callused. Again, don’t need anything fancy to do a good job. Pull up bar– pull ups are easily one of the best upper body exercises you can do. And luckily, you can add a pull up bar to any room with a standard door in it. For those who don’t do pull ups, pull up bars can also be handy for doing dips, push ups, sit ups. It’s a nice, cheap, adaptable piece of equipment. Mat– a yoga style mat comes in handy for doing floor work: stretching, sit ups, push ups, yoga. Again, keeps ya off the floor, especially if you are working hard and sweating up a storm. Thats about it for the essentials. With the above equipment, you can turn any space into a working home gym! We didn’t bust the budget either. The dumbbells are the most expensive item up there, but you can gradually accumulate those. Adding more as your strength improves. You can get a nice bench for under a $100. Gloves, pull up bar, mat all easily $30 or less. So now that we got the essential stuff out of the way, I’d like to discuss some optional equipment. Stuff you might not need to get started, but stuff you may need down the road to keep you out of the commercial gyms long term. If you are anything like me, you like variety in your workout. I get bored easily with my workouts, so I am constantly changing things up. Adding some additional equipment to your gym if your space allows it, can definitely be worth while. 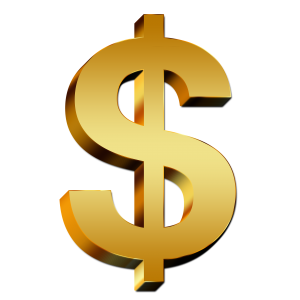 When considering the cost to benefit ratio when purchasing home gym equipment, remember the financial burden that is dropped when you stop going to a commercial gym. For example: let’s say you pay $25/month to go to Gold’s (many are significantly more than this by the way)… they probably make you sign a 2 yr contract…$25 x24 month = $600. And that’s money you are spending to use somebody else’s equipment. 600 bucks goes a long way to developing your own gym…not to mention not having to hassle with lines and commutes…just saying. Ab wheel– I love these things. I was pretty skeptical when I first saw these on tv, but when I finally tried one I was sold. You can get one for like $10 and it will definitely spice up your ab workouts. These take up zero floor space by the way! Set of resistance bands– a good set of resistance bands can open up a whole new level of exercises for ya. For example, if you don’t like pull ups, or pull ups are painful, you can use resistance bands for lat pull downs. Nice and gentle on the joints, fluid movement, and can be done from any doorway if you get bands with the door hold. You can get a nice set online for $20 or so that includes different handles. Entertainment– obviously not necessary for everyone. I like to listen to music when I workout. So, in my little attic gym I have a Sonos speaker that I can listen to music through from my cell phone. I have to keep the volume down so I don’t wake up the rest of the family (I’m forced to exercise in the mornings these days). Headphones would work fine as well. You might like to have a tv in the area so you can watch tv while exercising away on your favorite piece of cardio equipment. Just something to consider when planning your home gym space. There ya have it, my thoughts on setting up a nice home gym. Now it’s your turn to put together your own home gym and start enjoying those perks. A home gym should change and adapt as your workouts do. Don’t worry if your budget doesn’t allow for a lot of the stuff I mentioned above. The only equipment you truly need to exercise at home is a few feet of floor space and your body. You get can a serious workout with bodyweight squats, push ups, sit ups, pull ups, burpees, planks, mountain runners, lunges, dips… the list goes on. Did you notice one thing all of those exercises have in common? No equipment necessary! Adding some equipment will help you keep your workouts interesting and offer more variety. I recommend starting with the essentials and adding on with time. 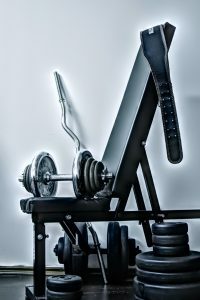 I hope this article was helpful for you in deciding what equipment you may need to consider when setting up your own gym. Feel free to hit me up with any questions or comments and I’ll get right back to you as soon as I can. Is The Total Gym XLS The “Total” Package? haha sounds like mine. We can’t baby proof the whole house right? lol. Thank you that sounds like you have a reasonable way to handle it.